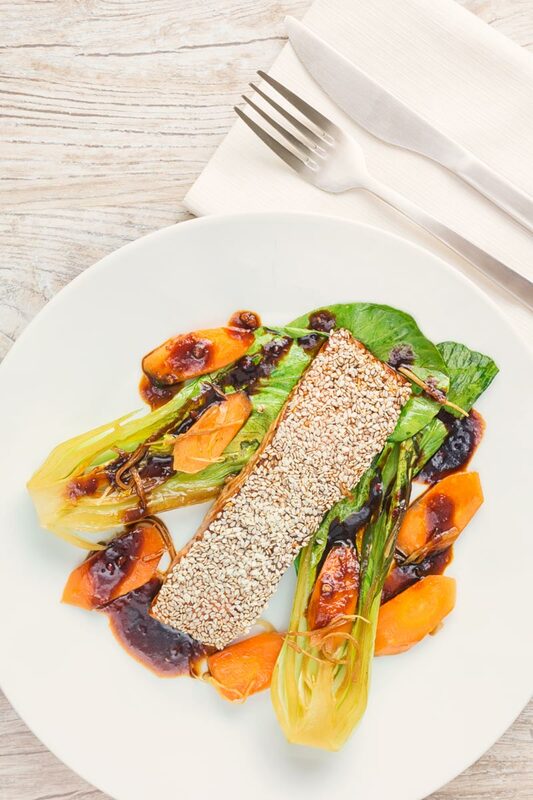 If you want a quick dinner then look no further than this simple sesame salmon fillet. It cooks in just 25 minutes and comes with ginger bok choi and carrots! 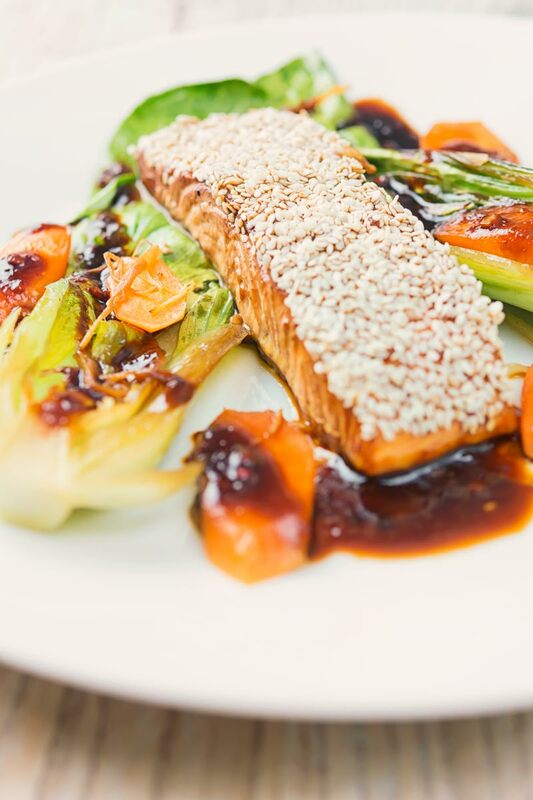 Sesame Salmon with Ginger Bok Choi and Carrots. This recipe is the perfect break out from winter into lighter spring and summer flavours. It still feels a little warming and cozy thanks to the touch of heat from the sweet chili sauce. But it is all light, bright and vibrant. I like to bake this salmon in much the same way as I do with my Herb crusted baked salmon recipe. It helps to turn the marinade into a sauce that is of a perfect consistency to add to the plate when you are cooked. Sweet and sour is often associated with meat like these sweet and sour pork chops. But sweet and sour fish absolutely works too! 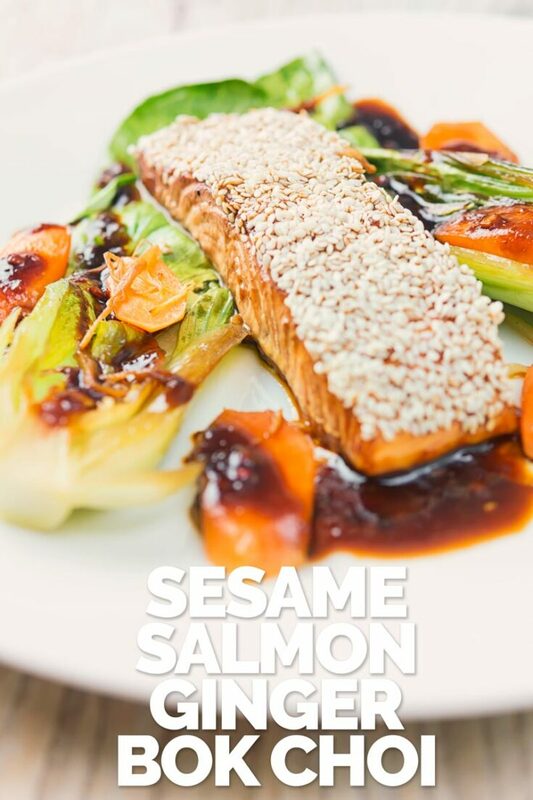 This sesame salmon recipe is not the first time that the idea has appeared here on my site. In fact, this teriyaki smoked mackerel recipe is another new addition that plays with the same general ideas. The key to making sweet and sour fish work is choosing the right fish. You want to look for something quite oily with a really big flavour. 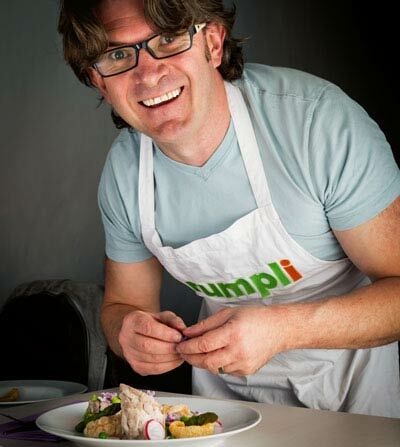 As a result, things like salmon, mackerel and sardine are perfect. How Long To Bake Salmon Fillet. Baking or roasting salmon is a super simple way of cooking it. A regular sized fillet of around 150g (6oz) will bake in a moderately hot oven in around 12-15 minutes. It is a fairly gentle way of cooking and will result in beautifully soft, moist and pink flesh. You can change this recipe up and cook it with a salmon steak, which is cut across the body with the bone left in. It will need cooking for 5-7 minutes longer. I would personally avoid it as removing the skin is more difficult. But it would still taste great! 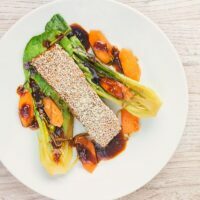 This simple sesame salmon fillet bakes in in a shade over 10 minutes in a foxy sweet chili sauce based spicy marinade and has a sesame seed crust. 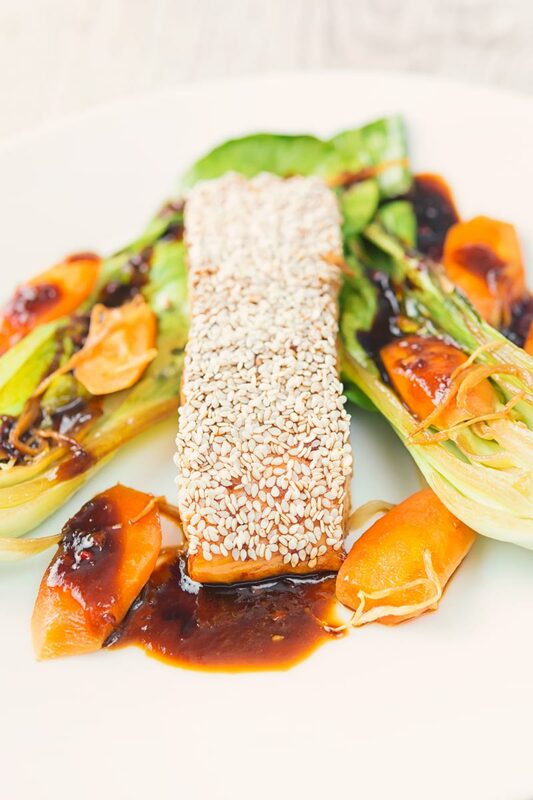 Served alongside ginger bok choi and carrots it is the perfect quick midweek dinner. Mix together the sweet chili sauce, rice wine, Chinkiang vinegar and dark soy sauce. Pour over the salmon and allow to marinade for 8-10 minutes whilst we prepare the vegetables. Cut the ginger into batons as finely as you can. Cut the carrots into 5mm thick rounds on an angle. Sprinkle the sesame seeds onto a plate. 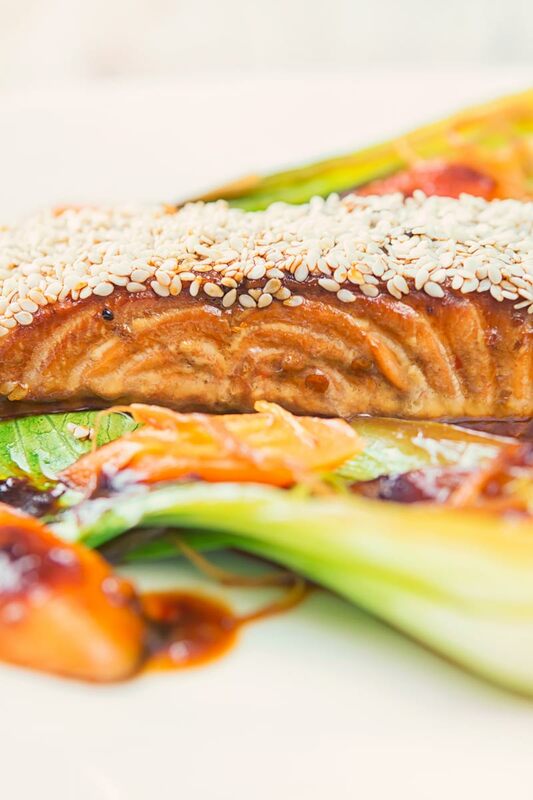 Remove the Salmon from the marinade and dip one surface into the sesame seeds. Lay the salmon on to a lipped baking tray lined with baking paper. Pour around the marinade and bake for 12 minutes at 200°C or 400°F. Heat a large pan over a high heat and then add the oil. Add the carrot and ginger and stir fry for 2-3 minutes. Cut the bok choi in half length ways. Add the bok choi cut side down to the pan and add the light soy sauce. Add a lid and cook for 5 minutes. Plate up using a little of the marinade as a sauce. You had me at salmon!!! I love salmon and am always looking for new ways to make it! I have to try this! I’m always on the look out for more salmon recipes. This sweet and sour flavor combo sounds just perfect! Can’t wait to try it. Love that sesame topping. I haven’t made a sweet and sour fish yet! I’m not sure why, because it sounds awesome! Thanks for the inspiration! I think the words sweet and sour conjours up images of a bright orange overly sweet sauce… But sweet and sour can be subtle too and up against a big flavour like salmon it works really well. This looks amazing ! I love the sesame crust and the exotic sauce! Delicious.